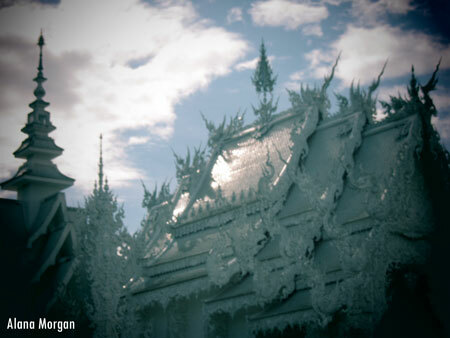 Wat Rong Khun, or The White Temple, is a stunning piece of art from Thai artist, Chalermchai Kositpipat, and unlike anything else you will ever see. Ever. Started in 1998, the temple is still being built and is obviously unfinished. 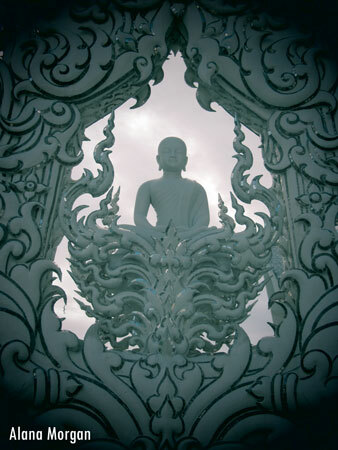 When I was there, workers were continuing to glue bits of mirror on everything and the murals inside the temple walls were clearly a work in progress with some walls being finished and others showing pencil drawings. 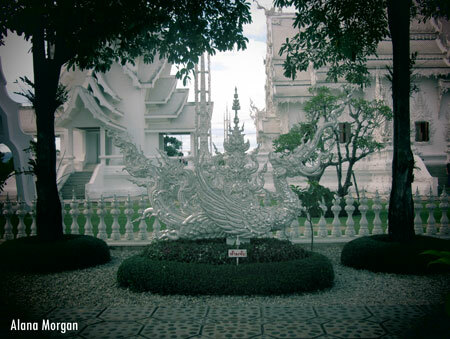 Aside from the brilliant, entirely white temple, the first thing you notice walking up to the temple grounds are…skulls. And skeletons. 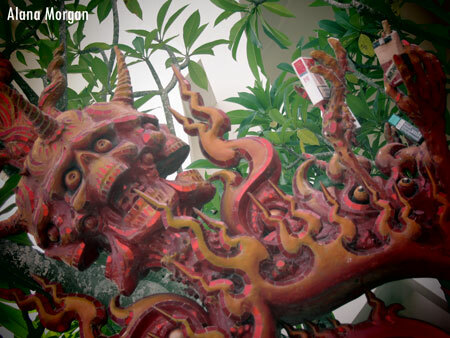 And demons. 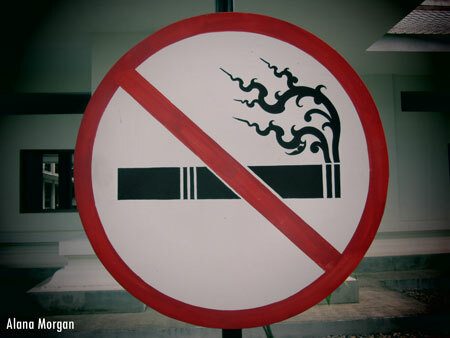 And alcohol and cigarettes. This is no ordinary temple. 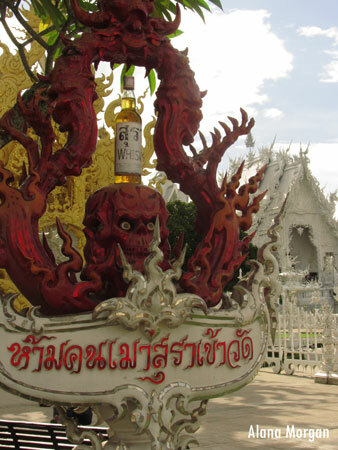 Once you get past the skeletons and warnings about drinking and smoking, you move onto the temple itself. 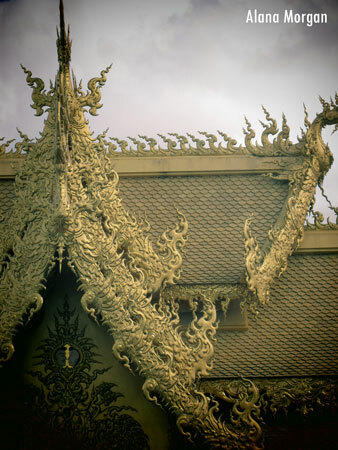 Everything is painstakingly detailed and designed, from the temple itself, to the walkways, to the signs. Everything shares the same aesthetic and nothing has been overlooked. Unfortunately, construction caused certain sections to be closed off during my visit, I couldn’t cross the walkway over hundreds of hands reaching up from below, and photography isn’t allowed in the main temple hall which boasts paintings of everything from Buddha to Doraemon, Angry Birds and Michael Jackson. Seriously. 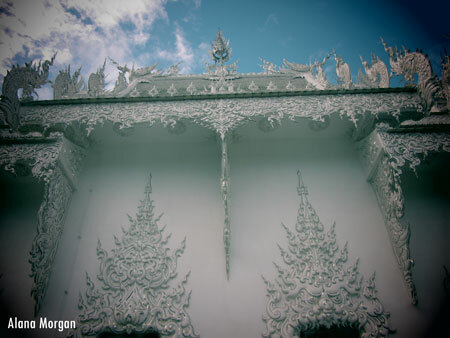 The White Temple is easily the most interesting sight Chiang Rai has to offer and would even be worth going to see on a quick day trip from Chiang Mai (tours can be booked from agencies and guesthouses throughout the city). Sadly, my pictures do not do this work of art justice. 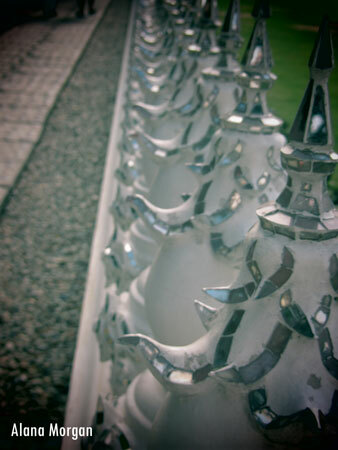 Fortunately, other people are much more talented than I – check out photographer Daniel Nahabedian’s shots of Wat Rong Khun on his site Canvas of Light.